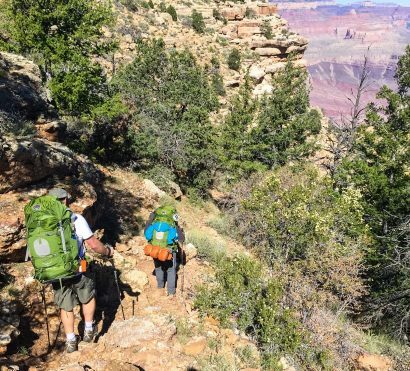 Experience a 5-day Grand Canyon Backpacking Tour from South Kaibab to Grandview Trail. If you’re seeking a truly adventurous backpacking trip in Grand Canyon, this guided tour is for you. 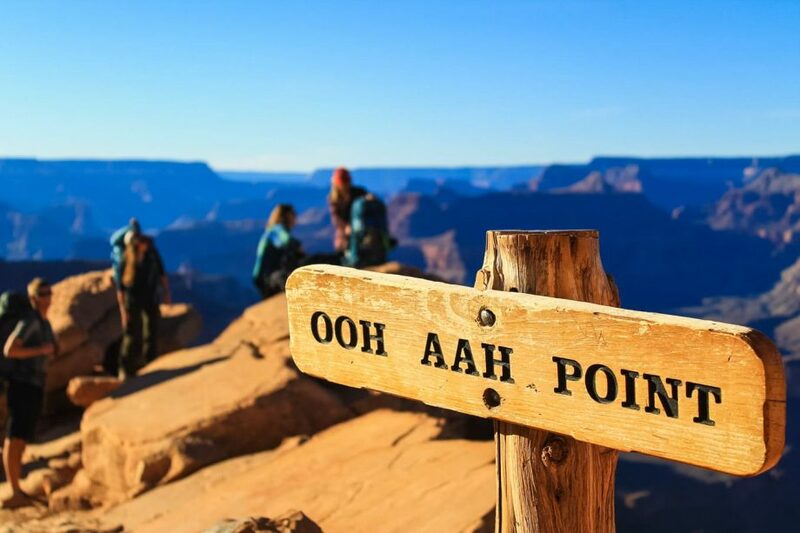 Beginning at the South Kaibab Trailhead, hike 12 miles into the canyon, away from the hustle and bustle of the busy Grand Canyon South Rim and a world away from modern civilization. We will even have the option to visit Grand Canyon’s only cave that is open to the public in the entire park! 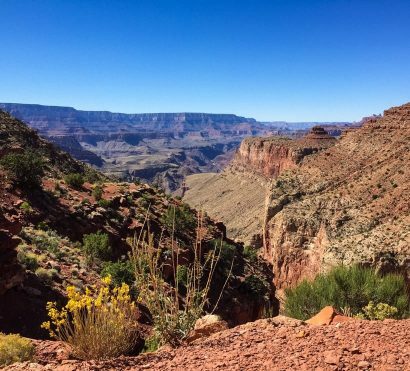 Over the course of the trip, we will hike along the mostly flat Tonto Trail from South Kaibab to Grandview Trail, perfectly perched midway into the canyon’s depths so we can enjoy towering cliffs above us and views of the Colorado River below. 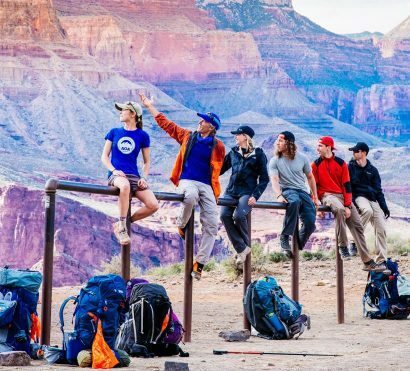 This trip is designed for experienced backpackers or those with an adventurous spirit looking to challenge themselves and step outside the ordinary on Grand Canyon’s trails. 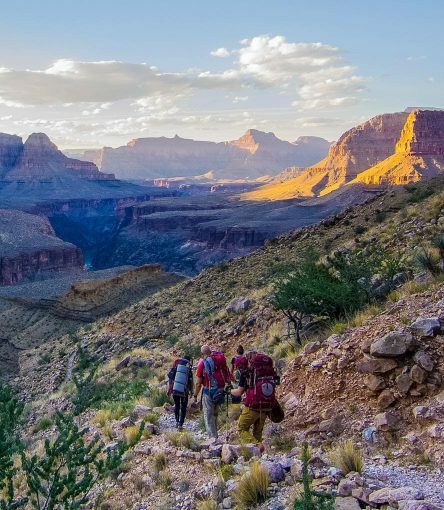 Over five days of backpacking you will explore the carved out landscape of Grand Canyon, camping in the backcountry, and the best of Grand Canyon's hikes, punctuated by agave, pine trees, and old mine shafts – the exploratory ventures of gold-thirsty pioneers. All the while with your guides beside you to share stories, answer questions, and introduce you to the diverse wildlife in this part of the canyon, allow yourself to be captivated by the grandeur of your surrounds. This Grand Canyon backpacking tour, though not so very far away from the rim, leads you into a world apart, a place rich in canyon history, surprisingly isolated, full of wild beauty. 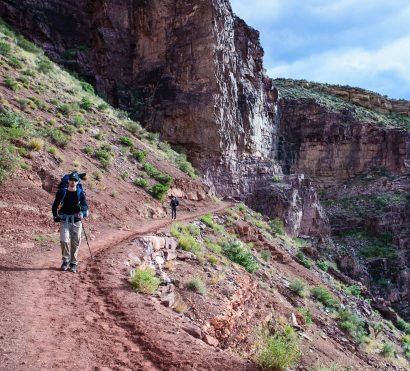 If your idea of a Grand Canyon vacation is a challenging backcountry exploration, this backpacking tour is for you. Trip End: Drops off in Scottsdale, AZ between 6 – 8pm on day 5. 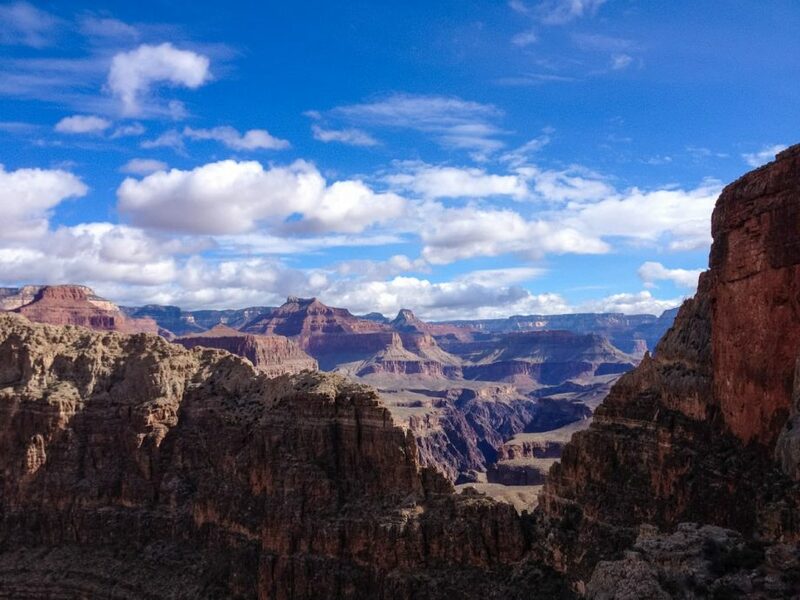 After meeting in Scottsdale and transferring to Grand Canyon National Park’s South Rim, your guide will help you with a basic backpack fitting, packing demonstration, and give a quick overview of the itinerary. At the trailhead, we will fill our water, carrying enough to cover us for the next 2 days. The South Kaibab Trail is not for the faint of heart. It descends 3,000 feet below us, negotiating the sheer walls of the Redwall Limestone and Coconino Sandstone via engineered switchbacks, and traversing an exposed ridgeline which affords some of the most jaw-dropping views in the entire park. 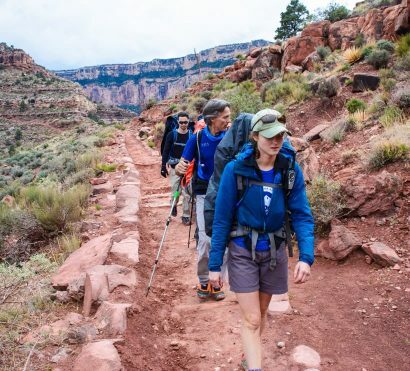 South Kaibab Trail, together with North Kaibab Trail, was the first trans-canyon route ever constructed and is often used by intrepid Grand Canyon “rim to rim” hikers. The word Kaibab in the Paiute language means, “Mountain lying down”. Doubtless we will disagree with this moniker as we descend its seemingly unending switchbacks. After 4.5 miles, we reach an area called The Tipoff, where we find an NPS-provided restroom, our last for the next 5 days. We travel another mile on the Tonto Trail to find our camp for the night. Tonight, we pitch camp and enjoy a dry dinner to conserve water for our hike tomorrow. After a dry breakfast, we pack up camp and venture deeper into the backcountry, hiking through Cremation Canyon. Cremation Canyon, named for the cremation site at the head of the canyon utilized by ancient Native American tribes for ceremonial burials, is a backpacker’s dream escape. 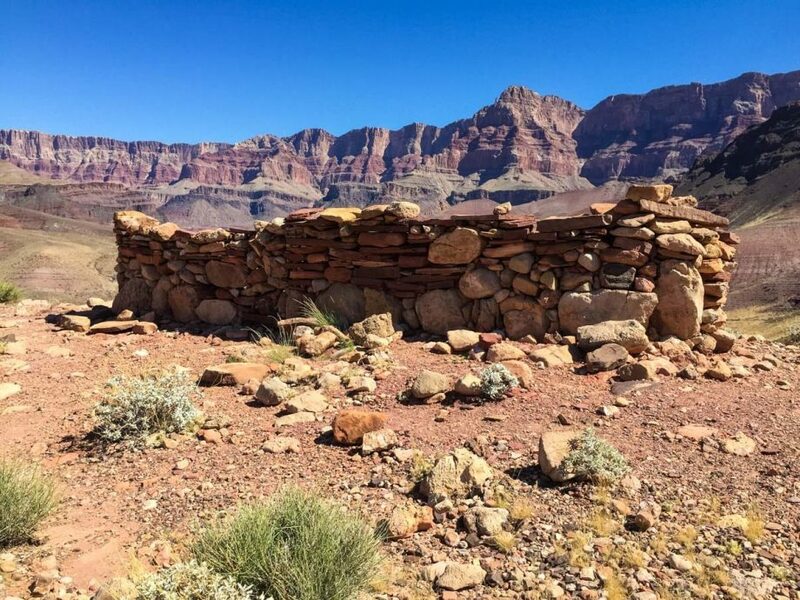 Just a few miles off the main thoroughfare of South Kaibab, we find ourselves incredibly close to civilization while still enjoying the unbelievable remoteness only the Grand Canyon can offer. 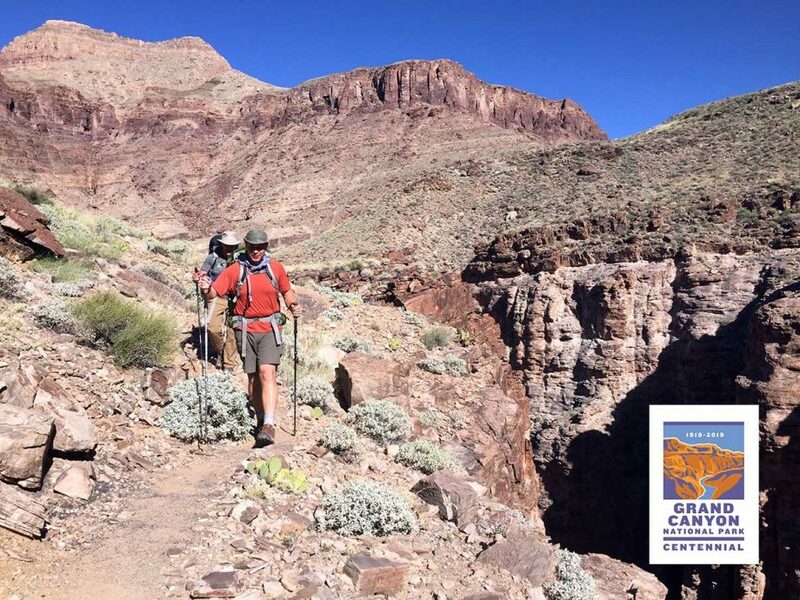 From our camp we can glimpse the winding route of the South Kaibab Trail, as well as Cheops Pyramid, one of the white-crowned towers within the canyon. Upon reaching camp, we’ll drop our packs and make a side trip to retrieve water from Lone Tree, then enjoy dinner beneath the stars of the Milky Way! Our winding, twisting journey hiking along the Tonto Trail continues along the “fingers” of the canyon, reaching out from the South Rim toward the Colorado River. We’ll see Eighty-five Mile Rapid from above, and pass several springs where miners and early explorers ventured to find water in this dry desert canyon. To our right stands the amazing colors and sheer cliffs of Grand Canyon’s South Rim, painted countless shades of red and white in stripes and patterns that seem almost man-made. Imagine all the canyon visitors above, hopping off their bus tours to gaze into the abyss below and listening to the rushing water of the Colorado River to your left as you hike along, buffeting Grand Canyon Rafting trips over rapids and sandbars. Those muddy waters have carved every detail of this unforgettable land. We’re here in a world apart, our own slice of the Canyon. At this elevation, low desert plants such as Ocotillo and Utah Agave mix with the grasses and shrubs of higher elevations to make an intricate playground of medicinal and edible plants familiar to both the Native Americans who once roamed here and canyon wildlife who still do. We pack up camp one final time and say goodbye to our relatively easy-going flat Tonto Trail as we ascend 2,600 feet toward the rim of the canyon. Grandview Trail provides steep switchbacks and distracting viewpoints to accompany us on our upward journey. Highlights during our hike today include views from the Coconino Saddle, remnants of old mining camps, as well as our first bathroom since the Tip-off when we reach Horseshoe Mesa! We have the opportunity, if time permits, to explore the Cave of the Domes as well, the only cave in Grand Canyon National Park open to public exploration. Reaching the top of the canyon is a challenge, but it is also an unforgettable feeling only accomplished by through-hiking the Grand Canyon! 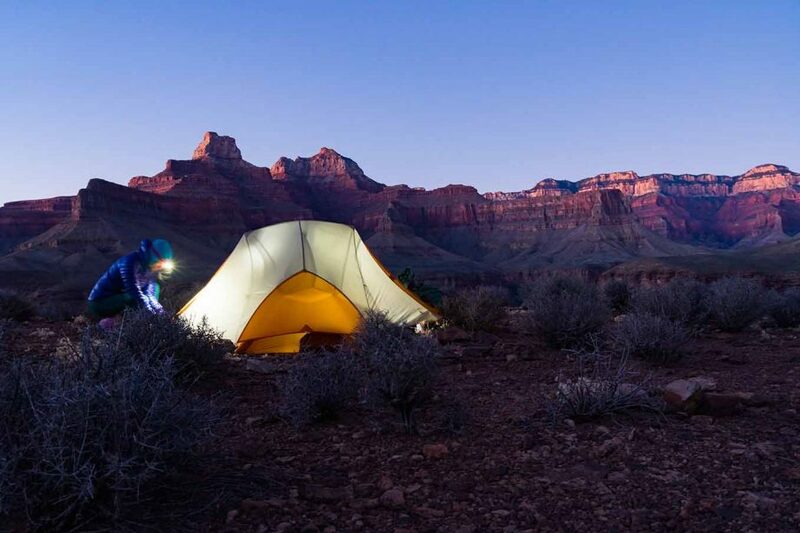 Cell service: While backpacking Grand Canyon, you will not have cell phone service, you should expect to be unreachable by phone. There is no electricity available. Bring a portable battery to charge your phone for photos.